Could Albertsons’ $200M purchase of Plated upend the industry? A nationally televised funding pitch paved the way for a powerhouse company to purchase a startup less than three years later — for $200 million. Meal delivery service Plated was first featured on ABC’s Shark Tank in 2014. It will soon appear on shelves at Albertson Company chain stores, and will also be available for in-store pickup. 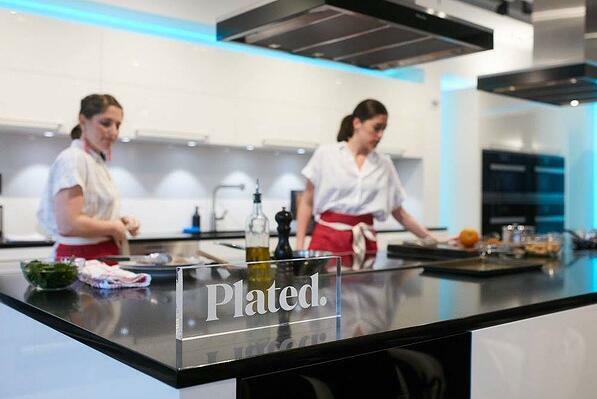 Owner of popular grocery chains including Acme, Shaw’s, and Safeway, totaling more than 2,300 stores in the U.S., Albertsons latest acquisition of Plated expects to increase Plated’s reach base to 35 million customers across 35 states, per week. For Albertsons, Plated kits will further the company’s goals of innovation, personalization, and customization. Plated co-founder Nick Taranto explained the company’s simplistic strategy is to put any other standalone meal-kit company out of business by the end of 2020. How this move affects the meal kit delivery industry overall is unknown. However, Amazon’s purchase of Whole Foods has precipitated its own meal kit delivery service, so Plated and Albertsons may find themselves at an advantage. Read more here.